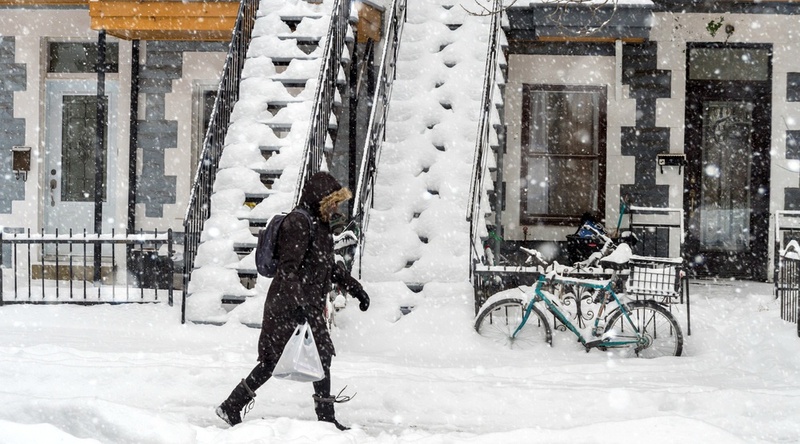 The Weather Network is currently predicting that snow will return to Montreal both on Tuesday of this week, as well as this coming Friday. Tuesday will see snow showers bringing between 2 and 4 cm of snow to the city, while Friday is calling for scattered flurries that could result in up to 1 cm of snow. 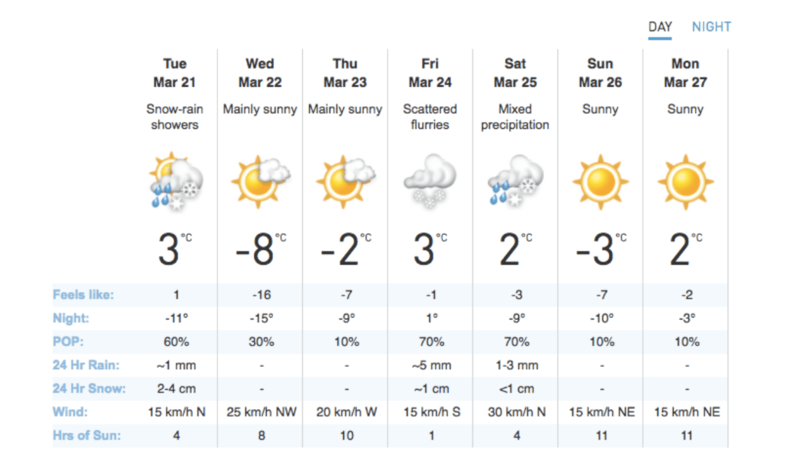 On the upside, temperatures will be mild in Montreal this week. Both Tuesday and Friday will reach a high of 3 degrees, with the coldest day of the week being Wednesday which currently sits at -8 degrees. Thankfully, the upcoming forecast does not include anything like the massive snow storm of last week. Plus, quite a bit of sunshine is predicted which should help to melt the existing snow. Spring is coming – we can feel it!